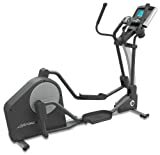 Released in early 2009, the Life Fitness X3 Elliptical Cross-Trainer has proven itself to be a capable machine for over 5 years and can be purchased used on Amazon for $2,699.00. Though one of the older machines in the line of Life Fitness elliptical trainers, this model was refreshed in 2014 and there are a wide range of innovative features available on the X3 that are beneficial to anyone looking for a good workout. The clear LCD display features a number of useful stats and numbers, such as heart rate, distance ran and speed, among others. It also comes with interactive heart-rate monitoring and a comfortable ErgoGrip handlebar. The stationary handlebars, officially known as ErgoGrip by Life Fitness, really is as useful as advertised, as they tend to provide a comfortable feeling of stability while doing a workout routine. These handlebars are also exceedingly useful with the combination of the heart rate hand sensors that come included with the elliptical. They simply strap onto your hands and record your heart rate during the workout, This information is then fed to the LCD monitor through the handlebars, which is highly convenient. The trainer utilizes a WhisperStride system that was designed to keep the machine moving smoothly and quietly. 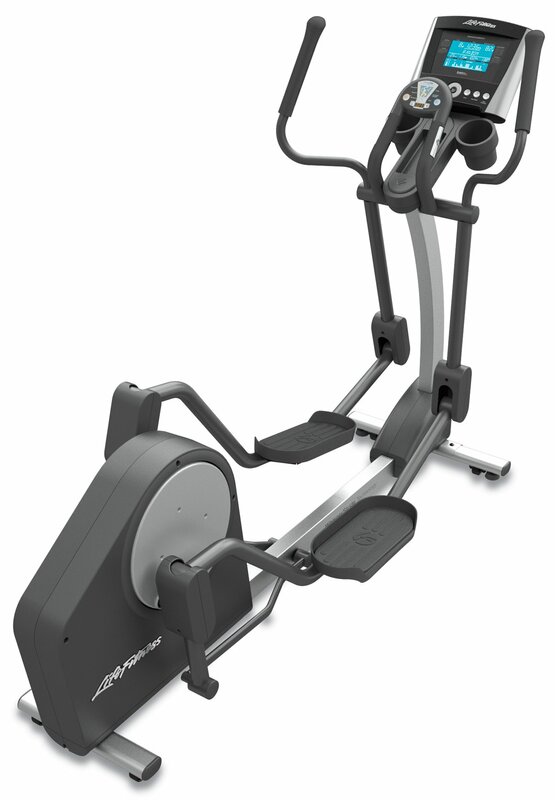 This works really well and allows the machine to be much quieter than a plethora of similar elliptical trainers. The LCD display is an advanced console that includes a wealth of unique workout programs, as well as the ability to track a wide range of statistical workout data, such as calories burned, RPM, speed, distance and target heart rate. Multiple users of the trainer can even save their own preferences and boot them up whenever it’s their turn to use the machine. Some of the workout programs already pre-loaded include that of sport-training, fat burning and race mode programs. All of this comes together to create limitless options when using the trainer during your usual routines. At just over 200 pounds, the machine is very sturdy and reliable. While many trainers may not hold up well after strenuous use, this elliptical trainer was designed to do so and will last for many years. The stride length comes in at a comfortable 20 inches, which allows for taller people to use the trainer quite easily. For anyone that has never bought an elliptical trainer before, it’s possible to be shocked at the relatively high price, though this elliptical machine is actually somewhat affordable compared to similar trainers on the market. There is no incline control included with this trainer, which is rather rare for elliptical trainers and can be frustrating at times for those that are looking to add more difficulty to their workout routine. It does not come with a folding mechanism, which a number of its competitors do include. This is not a particularly large negative, but can be for those that don’t have a ton of room to store the machine. On certain machines, the brake assembly is not quite as reliable as the rest of the trainer. This could prove annoying if the mechanism needs to be replaced multiple times. However, this is a relatively rare occurrence for the most part. Anyone that is considering the Life Fitness X3 Elliptical Cross-Trainer should know that they will be buying a very capable machine that is well worth the price. The quietness and sturdiness of the machine, as well as the well-lit LCD display prove that the elliptical trainer is still a fantastic value more than 5 years after release. For the money conscious the Life Fitness X1 may be a better choice for an elliptical training machine, which is a few hundred dollars cheaper and has many of the features you might need. Coming in at a measurement of 65 x 62 x 27, this light/dark grey trainer does have its downsides, however, the weight capacity, comfortable handlebars and overall ease of use are just a few of the good points that easily trump the bad.